[If you haven’t used Door to Door Organics yet, I have a special deal for you (dear reader) at the end of this post]. 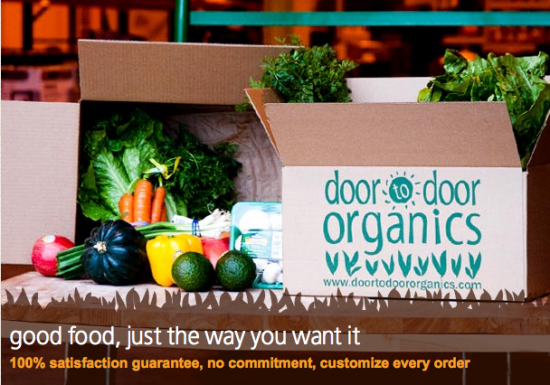 Door to Door Organics brings organic produce and groceries straight to your doorstep. After meeting much of the staff, I could tell their focus of: “good food made simple” is a living and breathing belief. Recently, they went a step further to help cultivate community and create a story around food, not just the individual products. They launched: Door to Door Organics Kitchen. Door to Door Organics Kitchen allows their customers to shop by recipe and with ease and subsequently have those ingredients delivered right to their door. The idea is to help people in the planning, shopping and cooking portion of their lives. 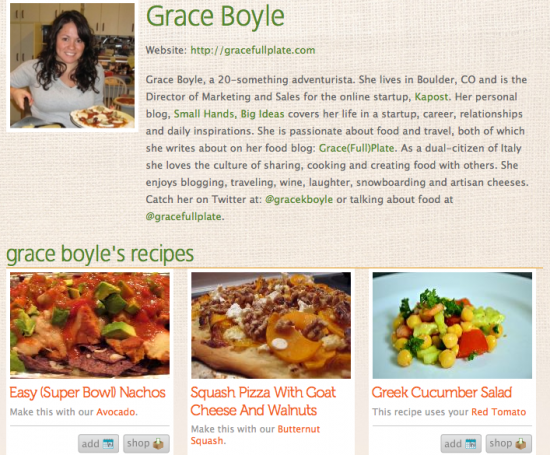 The recipes are real from chefs, home cooks and even food bloggers, yours truly is included. You can find at least 6 of my recipes on their new Kitchen application – including the likes of squash pizza with goat cheese and walnuts, easy (Super Bowl) nachos and kale and white bean soup with vegetarian sausage. The application allows you to select recipes and customize what you buy from Door to Door’s grocery and product section. 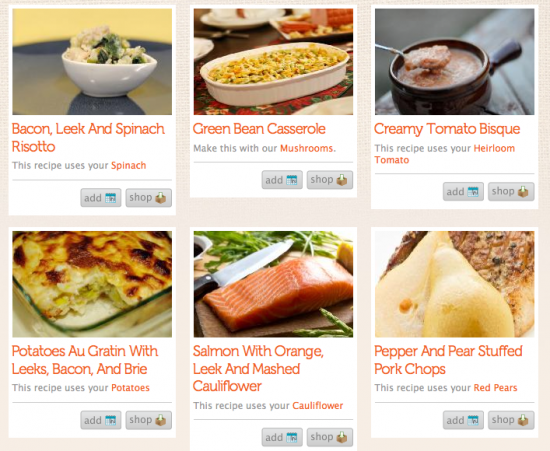 You can also customize the recipe recommendation based off of the ingredients that you already have in your home and pantry. They even have a recipe book where you can bookmark your favorite recipes and bookmarked recipes. I impressed with the interactivity of the application and loved it for someone like me (sans family) who is busy and always on the go. On the flip side, I can see this being a big saver for families to help pick fun recipes and ensure all the ingredients land on your doorstep, helping you stay healthy while also having fun and choosing interesting recipes. As someone who loves my downtown Boulder farmers market (live a few blocks from there), I’m always sad when the season ends. I learned that Door to Door Organics delivers year-round and it’s focus is still on organic. Yes, that means they source beyond Colorado but unless you want potatoes all through the winter, they enable you to still be efficient in your shopping and they work directly with local farmers elsewhere around the country, so you can still have a plethora of fruits and produce in the cold Winter months. Finally, as an aside, a great point to consider is that although Door to Door does have a carbon footprint by delivering boxes to your door they can greatly reduce the community footprint by delivering to a focused area of a city to many people, eliminating each persons trip to the grocery store. One car, versus many. When heading over to Door to Door Organics, enter the discount code: gracefullplate and this entitles new customers to 40% off their bitty box. Check it out. 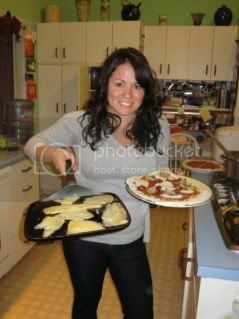 I’m curious to hear what you think and you can learn more at recipes.doortodooroganics.com. Note: They also serve Michigan, Kansas City and Chicago with all the same features. Thanks for the code. This reminded me to sign up again… I love their service and had been away from it for awhile. Hooray for Door to Door Organics!! Hi Heather! Thanks for stopping by. To clarify, the code is for new customers only. I’m not sure if you’ve bought before but just wanted to clarify (if you have any issues with the code).